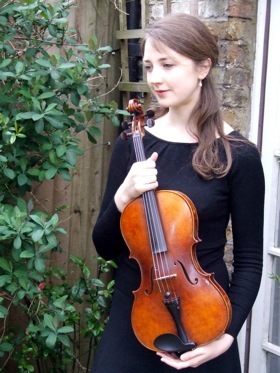 Jessica Beeston received a first class Masters degree from the Mozarteum, Salzburg where she studied viola with Thomas Riebl. Previously she studied with David Takeno and Krysia Osostowicz at the Guildhall School of Music and Drama. Jessica has been supported in her studies by the Countess of Munster Trust, the Sir James Caird Travelling Scholarship, the Cross Trust, the Martin Musical Scholarship Fund, and the Waddell memorial prize for strings. Jessica is a guest principal viola of the Scottish Chamber Orchestra and regularly plays with Camerata Salzburg, the London Chamber Orchestra, and has also played with the London Mozart Players, LSO, RLPO, BBC SSO and BBC NOW. She performed in the Wigmore Hall with Ensemble Na Mara and has recently become a member of the Nephele Ensemble. She has participated in the Prussica Cove master classes and the Mendelssohn on Mull chamber music festival. This year Jessica was a soloist in the ROSL strings competition. As a member of Live Music Now with pianist Andrew Jonhston she has performed in venues throughout the country. Jessica has been described as being "a commanding presence in total control of the music" (Butterworth, Paxton, July 2008) and "a stunning viola player" (Michael Tumelty, The Herald, Feb 2008).